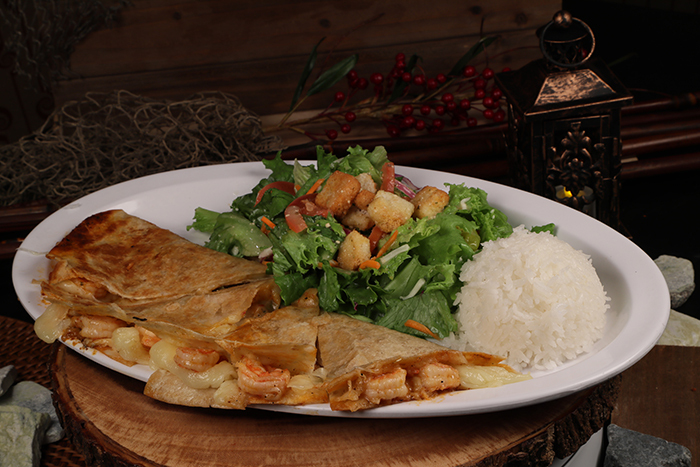 Shrimp Quesadilla on monterrey cheese, marinated in our hot spicy sauce, olive garden salad and rice. Our story begins with a dream, a Craigslist ad, a click of a button, and a trip to Tijuana-Mexico where our first mexican sushi cart was purchased in 2010. © Copyright El Sushi Loco Restaurants Inc. All Right Reserved.